The Venezuelan National Assembly, the country's de jure legislature that has a resounding opposition majority, announced last Tuesday its takeover of the executive power, backed by the US government. Calling on Venezuelans to protest, the body demanded the establishment of a "transitional government" to organise new elections. The move was fronted by the National Assembly's president, Juan Guaidó, who told citizens: "We have a historic rendezvous with our country, with the future of our children". A day later, Guaidó was declared interim president by the National Assembly, sparking an international reaction. According to the National Assembly, these acts are completely legal. However, the decision was not recognised by Maduro or by the Constituent Assembly — a parallel body to the National Assembly led by Maduro's partisans — or the official justice system, which resulted in a clash between the different powers in the country. So is it legal for Guaidó to have been declared interim president of Venezuela? According to the National Assembly, it has a right to name an interim president according to article 233 and 333 to restore the validity of the constitution since they view the last May 20 elections as illegitimate. Additionally, all the alterations to the constitution by the Constituent Assembly and the official justice system are deemed illegitimate by many experts, said Cecilia Sosa, the former president of the Venezuelan Supreme Court of Justice, because they were made quickly by members of the former National Assembly (majority Chavista) right before the opposition took over control in 2015. “The previous Assembly (chavista), violated the entire legal process for the appointment of Supreme Court justices. The majority of these magistrates were arbitrarily elected, do not meet the requirements and were appointed outside the period established by law," said Ecarri. Why is Maduro usurping power according to the National Assembly? The 2015 elections were called by Constituent Assembly — a body recognised illegitimate by national and international critics of the Maduro regime. Then in 2018, the Constituent Assembly once again called for elections by "advancing the date and vetoing all opposition leaders and parties," said Sosa. The National Electoral Council declared Maduro the winner of the elections and president of Venezuela until 2025 — a result called illegitimate by the international community. 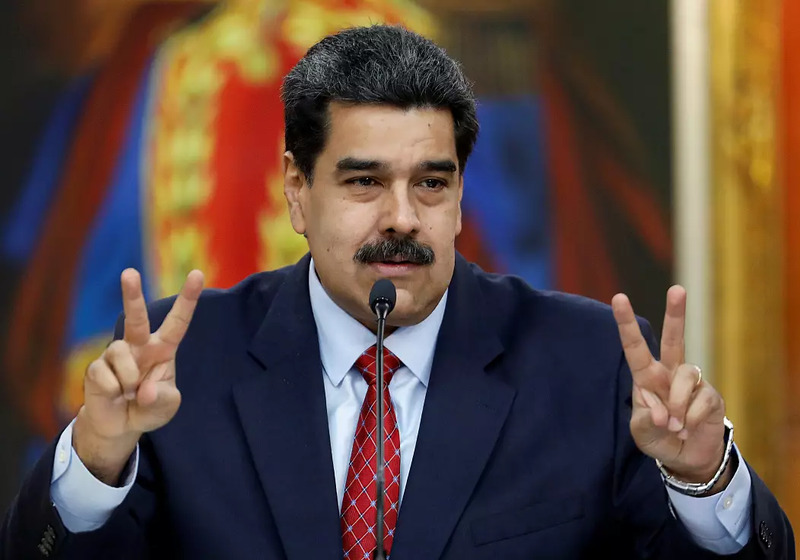 Maduro's swearing-in ceremony, earlier this month, took place in the main offices of the Supreme Court of Justice even though the constitution dictates that it must take place in National Assembly. "He was sworn in before an unconstitutional body, which is not legitimate. His oath has no value, it is null and void. Another unconstitutional act," said Sosa. So are there two presidents in Venezuela? 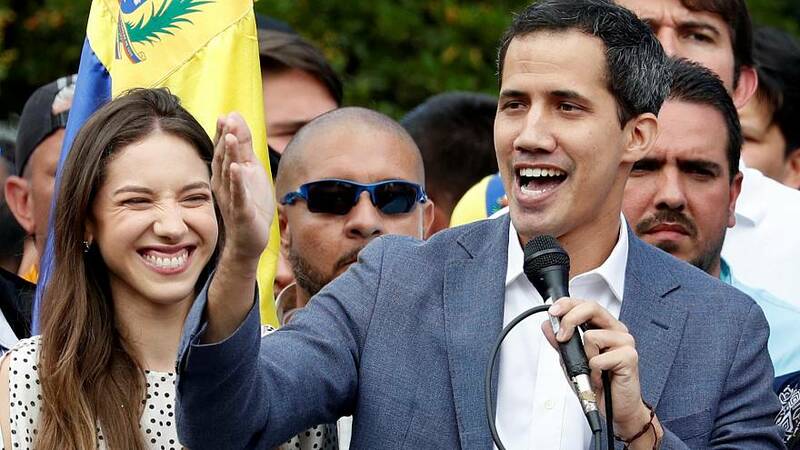 Juan Guaidó "did not proclaim himself interim President of Venezuela, he was proclaimed president of the Assembly, and it's because of this that he assumes the role of President of the Republic until elections are called, as stated in the 1999 Constitution," said Ecarri. 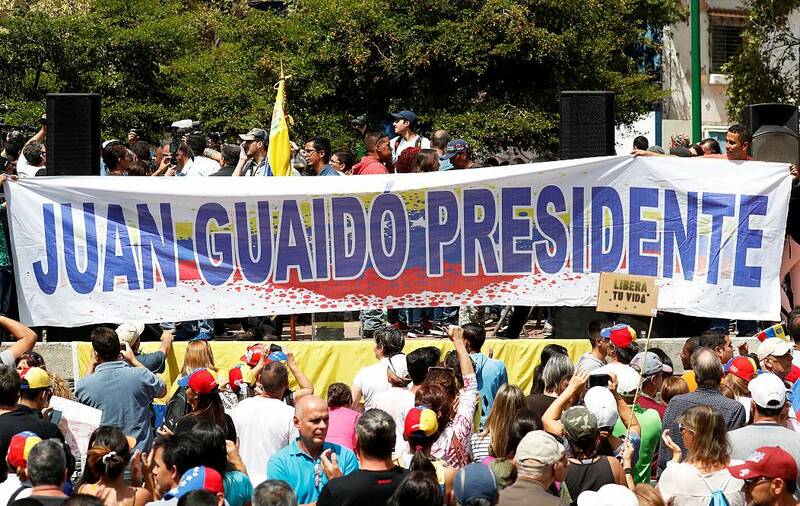 Apart from the National Assembly, the rest of the Venezuelan government has accused Guaidó of orchestrating a coup d'etat with the help of the Trump administration. "I alert the people of Venezuela that a coup d'état is taking place against the institutionality of our democracy, against our Constitution, against President Nicolás Maduro, the legitimate president," Defense Minister Vladimir Padrino told journalists while accompanied by other high military commanders. "In our country, the positions of popular representation are elected by the people," said Tibisay Lucena, head of the CNE, during a press conference. The CNE insisted that the country's voting system is "transparent, reliable (and) rigorously verifiable in all its phases," which is why Maduro "legitimately exercises" the presidency. In any case, Maduro told the Supreme Court that he would "never resign." "We categorically reject the illegal actions that seek to install a parallel government in our country. We reject in the strongest possible way the gross acts of interference carried out by foreign governments," he said.